Nominees were selected by a panel of judges based on creativity and innovation in interactive marketing and voted on by Ad:Tech Web site readers. Earlier this year funshipisland.com was an honoree in the 2008 Webby Awards, which are judged by members of the International Academy of Digital Arts & Sciences. 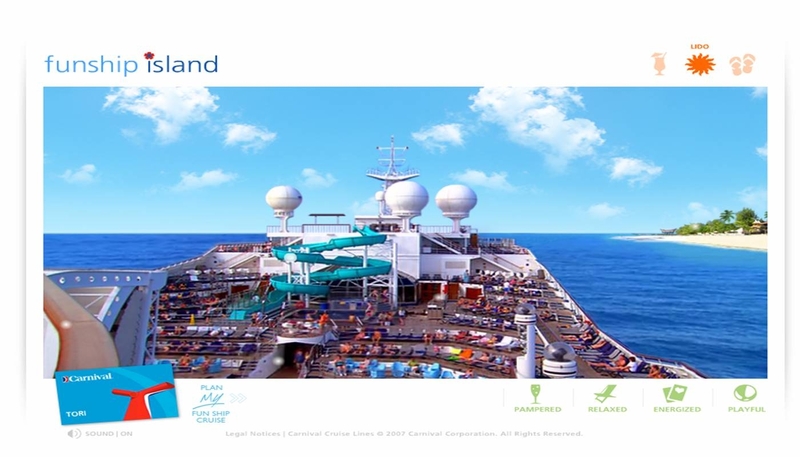 Since its launch in July 2007, funshipisland.com has generated more than 1.8 million hits, providing viewers with a fun and comprehensive visual overview of the “Fun Ship” vacation experience. 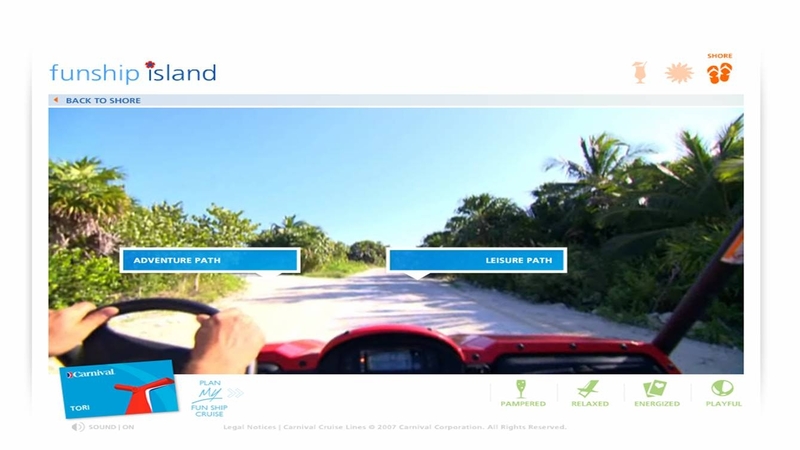 The site offers an immersive world where visitors can play in a virtual casino, experience the line’s iconic Twister waterslide, embark on a Rhino 4×4 Jeep ride, and tour the “Camp Carnival” play area, among other experiences, from the convenience of their computer.